Cook 5 minutes and add cream and continue to cook 20 minutes, stirring occasionally. If sauce is too thin use cornstarch to thicken. Place salmon on a baking pan and season with salt and pepper. Roast salmon at 325 degrees for 20 minutes or until cooked. 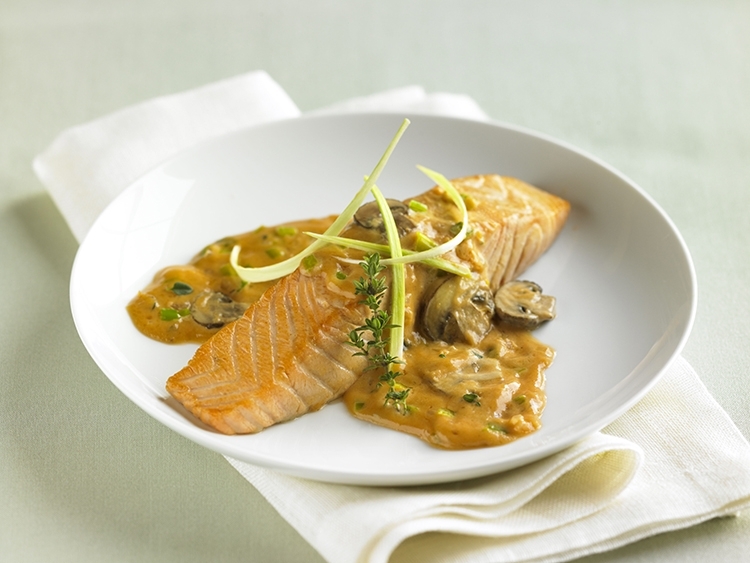 Place roasted salmon on a plate and cover with sauce. Garnish with leeks if desired.